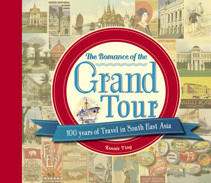 Celebrating a “golden age” of travel, this book retraces the steps of a Grand Tour of South East Asia from the turn of the 20th century to the present day. The Romance of the Grand Tour explores the living heritage of 12 exotic port cities: from Rangoon (Yangon), through the Straits Settlements of Penang, Malacca and Singapore and the old Dutch East Indies cities of Batavia (Jakarta) and Surabaya, via Bangkok to former Indochina at Saigon (Ho Chi Minh City), Phnom Penh and Hanoi, through Manila to Hong Kong. Drawing on archival images and accounts as well as present-day photographs and illustrations, the book captures the romance and excitement of these early Grand Tourists, while presenting contemporary scenes and experiences for 21st-century travellers determined to seek out the legacy of a bygone era. Kennie Ting is a sociologist and cultural heritage professional fascinated by the urban histories and architectural heritage of colonial cities in Asia; and by the phenomenon of travel. He graduated with a double major in English and Economics at the University of California, Berkeley and a Master’s in World Cities and Urban Life at Goldsmiths College, University of London. Born in Singapore, he counts six different cities across the world as home, and travels obsessively. When not wandering through Asia searching for traces of the colonial past, he works for the National Heritage Board of Singapore, devising strategies for the promotion and preservation of cultural heritage in the island republic.